What is so great about wool carpets? 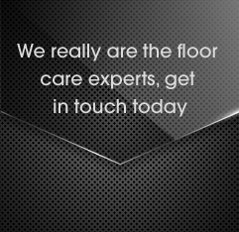 Silver Lining Floor Care ⁄ Advise for floor cleaning ⁄ Carpet cleaning ⁄ What is so great about wool carpets? 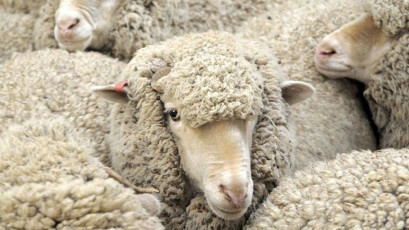 What is so great about wool? Wool is a natural fibre and we try to replicate it tirelessly for years, but from the beginning, we are trying to achieve impossible. I do admire our efforts, we all should aim for impossible. Let’s do it from a wool carpet owner point of view and see if I can capture what you want from your carpet. Must, should & could vary on the individual. For me, eco-friendly would be in the must section. Ideally woven so there is no synthetic in it at all and natural colour. Wool can achieve all: must, should & could. As long as you have some maintenance programme in place and you are proactive about it. Nowadays you have a variety of colour and designs. You mix match them with other types of floor covering like wood & stone. You have pastel colours to choose from, you have interior designers who can help you with your choice. It is the indefinite must, so you are happy with your choice. Just go to the shop or have shop come to you with samples and help you make the choice. Wool carpets and fibres are so special mainly because out of its outer layer, called cuticle. It repeals any spills and it is easy to clean. I have a dog and we only washed it few times in her life. I think she hates us for it and is terrified of the bathroom even though she loves swimming in the seaside etc. If maintained well it can look like new forever. Although it is not a hard wearing fibre. It will wear out with time, it can deteriorate as it is a natural fibre, it will turn to soil eventually. We have clients with 25-year-old wool carpets and it looks like it was fitted yesterday. I will share their secret with you soon. Just by following the idea that you can have wool carpets that look like new after 25 years. You can buy cheap carpets for £5/m2 or you can buy proper wool carpets for let’s say £70/m2. The cheap carpet is likely to be synthetic, it will ugly out very quickly and if you want to keep it looking nice you would probably have to buy a new carpet let’s say every 3 years. Over 25 years you would spend just over £40/m2, you would have to have contractors change it for you 8 times, with disruption and additional charge every time for fitting and disposal. You would be producing plastic garbage which will end up in our oceans costing a fortune to our planet and future generations. When making your initial investment higher, it would save money and worry for future, causing no disruption to you and your family, it would cost nothing to our planet, if properly disposed of, it would just nourish the soil with it protein fibres. It may seem like a lot to spend now, but it is definitely cheaper for everyone in a long run. Have you ever had a chance to stroke a dog with a nice coat? My dog is so soft! People love stroking her as she feels so great. She is well fed and well exercised. That’s my secret. Most carpets in the shop feel nice. Again, it’s a very private matter what is “nice”? If I fed my dog bad food and did very little exercise the coat would probably lose that nice touch. As long as you maintain your carpets correctly they will be soft and nice to touch and play. Have you ever seen the stained dog? Wool carpet is naturally resistant to stains. It us and our approach that is staining the carpets. Heat, carpet structure, fibre type, time, they all play a factor in stain removal. It’s all about the maintenance. Wool is protein-based fibre and moths, like any other living creature need proteins to survive. 80% of dust is actually our skin, which is protein rich. Therefore, dusty dark places rarely vacuumed are paradise for these butterflies. Wool is a great insulation. Both during the summer and during the winter. You don’t often see animals wearing jumpers or jackets, do you? It’s a natural product, what else can you ask for? If disposed of properly it will be a food for the earth. Of course, you can have different construction types. Tufted carpets have a primary backing adhered to the secondary backing and some adhesive is used. Woven carpets have no other material but wool and maybe cotton. No adhesive used in these carpets. Nowadays you don’t see them often as they are expensive to make and it seems that humans for some reason have inverted their priorities and there is no many who actually care about the impact on our planet from our daily choices. To summarise, wool is a great fibre in pretty much every aspect. If not maintained well it will lose its value which often cannot be restored as the damage done is permanent. It can basically damage 2 ways. Physical damage occurs every day with foot traffic. 80% of soil in wool carpets is dry soil. It means it’s insoluble either in water or in solvents. Dry soil and foot traffic act like sanding paper to the fibres stripping the outer layer of wool, the cuticle. We can remove dry soil by dry soil extraction machines commonly known as vacuum cleaners. Dry soil and water will just create mud. It’s easier to sweep the dry soil rather than spray and mop, isn’t it? Chemical damage is done when wrong chemicals are used for water extraction cleaning. The results of the cleaning will be fabulous but wool is altered chemically and it can become visible in years ahead and you would never blame your carpet cleaner for it as you wouldn’t be able to link it. I hope this will give you enough information when it comes to selecting carpet cleaning firm to clean your wool carpets. It is all about the maintenance & you can read about importance of it here. We are IICRC qualified in carpet carpet cleaning and 5 other areas, we are WoolSafe approved contractors, Johnny Czarnota – technical director of the company, is WoolSafe approved carpet inspector. Therefore, we have vast knowledge about wool and how to look after it. 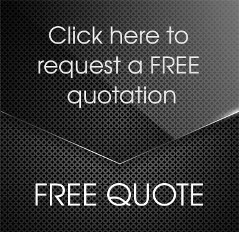 If you have any question please call for free advice. DO NOT REACT TO ACCIDENTS, RESPOND INSTEAD.